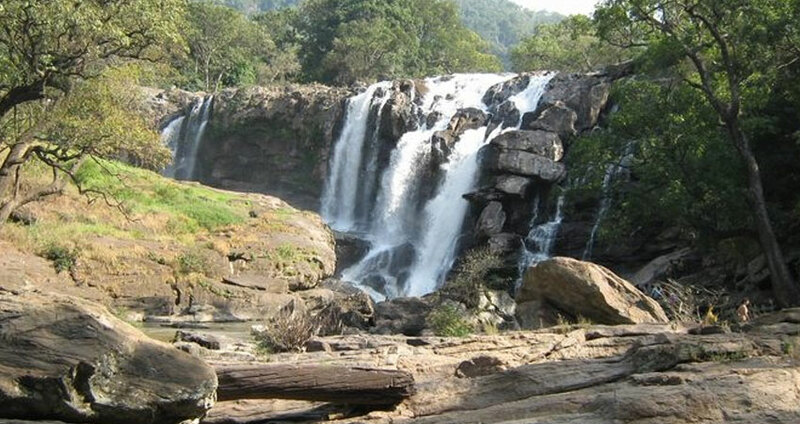 Today cover the local sightseeing of Tea Gardens, Matupetty Dam/Lake – The Mattupetty lake and dam , just a short distance from the farm, is a very beautiful picnic spot. Boating can be enjoyed here. Kundala Dam/Lake- Kundala is a picturesque town on the way to Top Station. The Golf Course which belongs to Tata Tea Ltd. is located here. 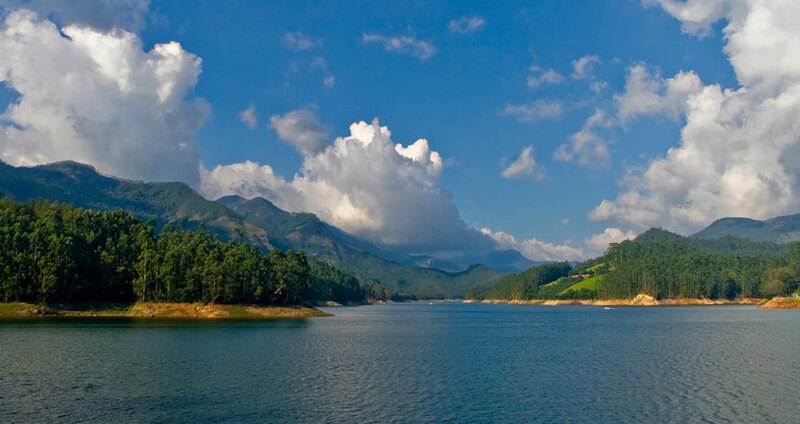 The Kundala artificial dam is another attraction Top Station – 1700 Mts above sea level , this is the highest point on the Munnar-Kodiakanal road. Top Station (a viewing point) also offers a panoramic view of neighbouring state of Tamil nadu. Also Echo Point on the way back can be enjoyed. Back to the hotel after sightseeing. Morning check out & depart to Thekkady. Arrival & check in to hotel – Discover the veritable essence of Kerala’s well kept wilderness secrets at Thekkady. The landscape here is dotted with tropical forests, exotic spice plantations, tea gardens and beautiful lakes. Evening visit Spice Gardens – The spice plantations of Thekkady are a huge draw for travelers from all over the world. The most abundantly found spice in Thekkady is pepper, but you will also see a variety of cinnamon, clove, nutmeg, ginger, turmeric and curry leaves on the slanting slopes of the spice plantation & some time for spice shopping. In evening enjoy Kathakalli Show. Today Half day Jeep Safari can be done & then visit to Periyaar wild life sanctuary – The Periyar Tiger Reserve at Thekkady is one of the best tiger reserves in India. The place offers a wide array of avenues to quench your thirst for adventure and for enjoying safaris, tiger trails, plantation tours & Spice Garden. Kalaripayattu – Martial Art Show can be enjoyed in evening. Check out & move for the Elephant Ride & then proceed to Alleppey/Kumarakom. Arrival & check in. Alleppey / Kumarakom comprises of a cluster of petite islands scattered across the emerald backwaters of Vembanad. Backwater cruises along these tranquil waters in a houseboat is a must-must have for any tourist visiting Kerala. 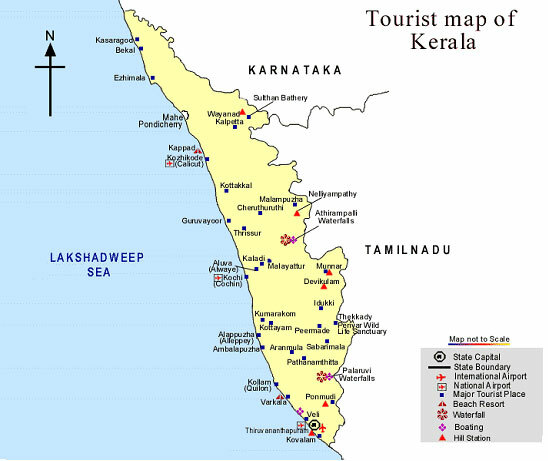 Kollam (Quilon)- Between the eight cornered Lake and the Lakshadweep Sea, at the Southern extremity of a network of backwaters lies Kollam beach towards 63 kms of north of Trivandrum. Here one can enjoy Backwater Curises, Astamudi Backwater, etc. Morning check out & depart for the Kovalam – Kovalam, rated as one of the most spectacular beach paradises in India, lures hordes of tourists from across the globe. Arrival & check in. Evening you can enjoy at famous beach at Kovalam / Marari. Full day free for the local sightseeing which covers Padmanabhswami Temple – Covering an area of about 2,400 sq. metres, the temple of Sri Padmanabhaswamy is believed to be around 260 years old, Chitra Art Galley – The Sri Chitra Art Gallery houses paintings from the Mughal, Rajput and Tanjore schools of art., Napier Museam – Dating back to 1880, the Napier Museum building is a combination of the Kerala, Mughal, Chinese and Italian architectural styles, Zoo- The spacious zoological garden is set among the pleasant surroundings of woodlands and lakes, You can also have a look at the wide variety of the animals and birds that are housed here & etc. Check out & transfer to Trivandrum/Cochin Rly. Stn./Airport to board the train/flight for further destination.